With the constant rise in real estate prices, it’s become almost impossible for an individual or a family to purchase a house without the help of a home loan.While many are apprehensive about taking a loan because of the kind of interest rates that they come with, what most people are unaware of are the tax benefits that you can enjoy on home loans. If you’ve got a mortgage on your house, you can avail of benefits and deductions under 3 separate sections of the Income Tax Act. If you’ve taken out a loan to purchase a home for which the construction is complete, and you have the completion certificate, you can enjoy deductions on the amount you pay towards repaying the principal amount of the loan. This clause is only applicable for individuals or Hindu Undivided Families (HUF). The maximum deduction under this section is Rs. 1.5 lakhs. It’s important to remember that deductions will not be valid on any repayments made before the construction is complete. Even if you haven’t taken a loan to purchase a house, you can still enjoy deductions on the amount that you have paid towards the stamp duty and registration fee of your new home. When you’re repaying a loan, you will pay a certain, fixed amount to the lender every month as your Equated Monthly Installment or EMI. Your EMI amount is calculated based on the loan amount, the rate of interest, and the tenure of the loan. Typically, your EMI is made up of a principal repayment amount, and an interest amount. The interest amount that you pay is exempt from tax under Section 24 of the Income Tax Act. You can claim this deduction at the start of the year in which the house’s construction is completed. This benefit is also available if you’ve utilized the loan to repair or reconstruct an existing property.Additionally, if you’ve rented out your home, you can claim for a deduction for the interest amount paid all through the year. When you apply for a home loan to finance your first-ever house, you can get additional tax benefits on the interest payment sunder this section. To claim this deduction, you will be required to provide a statement from your lender which clearly indicates the total amount payable, your principal amount, and the amount paid towards your interest. The maximum deduction you can claim under this section is Rs. 50,000. Now that you know about the various deductions and claims you can enjoy when you take out a property loan, you should easily be able to determine which benefits apply to you and which ones don’t. If you’re still having trouble understanding how to figure out the deductions, you can use an online tax benefit calculator. The calculator will help you understand how much money you can save despite the fact that you have to pay interest on the loan amount. 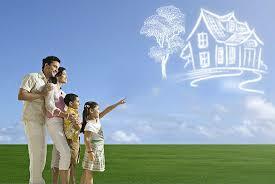 Over the years, home loans in India have helped numerous families find the home of their dreams. With so many additional tax benefits to home loans, it’s getting easier for young individuals to put aside enough money for a down payment and then secure a loan to help themselves find their own little place in the world. So, it’s time to put all your worries to rest, and fill out that application for a loan. Your dreams are counting on it. A number of responsibilities and joys mark the beginning of a unique journey for a new parent. Parenting remains shrouded by challenges and at times it seems to be an uphill task. Successful parenting is all about nurturing the child and bringing him up to be a responsible and honest individual. A parent is always concerned about brightening the future of their child. Security is one word that remains associated with your love for the little one. Right through the initial stages of growth, a child needs financial security. That’s one reason why financial planning is so necessary for securing your child’s future. You must identify the financial needs pertaining to your child’s education when the time is right and you actually feel the need to plan things. You’ll even need to allocate a portion of your savings for his college fees, professional courses and boarding charges among other things. It’s truly crucial for you to make your investments on a timely basis. A number of child education plans are now being rolled out by some of the most eminent insurance providers in their attempt to retain policyholders. A child education plan is also a good way of luring investors that keep an eye on the tax exemptions. Parents often want their children to grow up as successful professionals in the field of medicine, law, architecture, and engineering. In order to become a successful professional, it’s necessary for your children to pursue some professional courses in any of these areas. However, it has become increasingly difficult for you to meet all the expensive course fees for a long duration. You may even be compelled to apply for a children’s educational loan that meets the needs of fulfilling your child’s higher studies. The college fees may be inflated but the investment corpus accumulated during the maturity of a child insurance policy can be substantial if you aren’t wasting any opportunity of investing in such plans. The return on investments tends to vary with the fluctuating marketing conditions. You must consider adopting some dynamic allocation strategy for funds if you wish to make the most of your vested amount and keep capital erosion at bay. 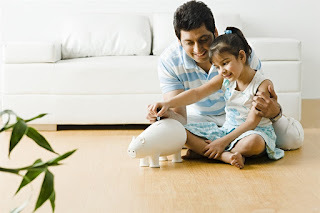 Certain privileges are offered under child plans in the form of Systematic Transfer Plans and Fund Selection benefits. These benefits enable you to make an investment planning according to your expected outcome through the various stages of your life. With an STP, you can even make the most of market fluctuations by transferring all of your fund units automatically. With some plans, the nominee of the insured person is entitled to achieve a waiver for the entire premium that’s to be met during the coverage tenure. Likewise, certain riders are developed to cover the insured if he suffers from a severe injury or ceases to exist during the policy period. About 10% of the sum assured is to be paid by the insurance provider as soon as the parent opting for a child plan passes away. Again, till the end of the policy period, 10% worth the sum assured is supposed to be paid out towards the child’s education periodically every year. Alongside a lucrative maturity benefit, certain comprehensive life coverage benefits are also offered under a child education plan. Compared to a few distinctive investment plans, there are a few unique advantages of investing in child education plans. While applying for a child insurance plan, you must check out if it yields adequate returns for securing the future of your child. Once you narrow down your choices, there’s nothing restricting you from securing your child’s future.